Square Enix has announced the release date of its massive multiplayer online game Boundless which was available on the Steam Early Access for a number of years. According to the game developers and publisher Boundless will be launched on September 11th for PC and PS4. The game has been available for early access for almost 4 years and it appears that they the team is on its final stages of its development. The game was under development by Turbulenz and Wonderstruck who also confirmed that the game will support cross-platform play between both the platforms. 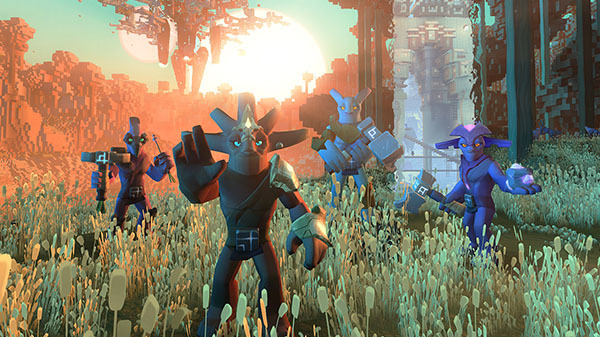 The game allows the players from different parts of the world to collaborate and team up to explore the area, hunt down dangerous creatures, collect the rare resources and build a colony. They will be able to trade items with others to get the required resources. Whereas completing the objectives will lead you to lead you with more rewards and experience points to increase your character. More details can found from the game’s Steam page. Boundless, a sandbox MMO is scheduled for release on September 11th for PC and PS4 with cross-play support. Stay tuned for more updates!